Andre – What personal support was most helpful to you? 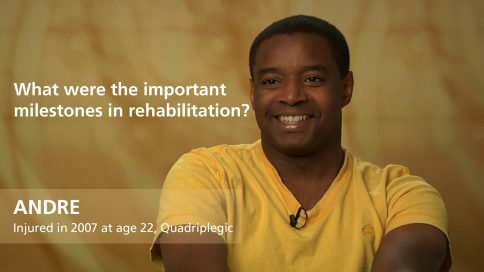 Andre – What were the important milestones in rehabilitation? Andre – How have your family relationships changed? 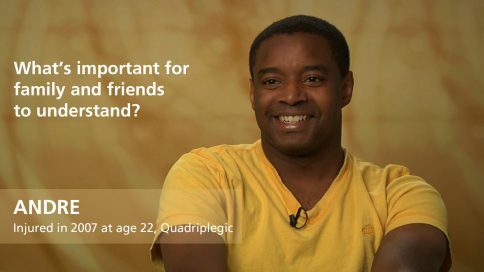 Andre – What’s important for family and friends to understand? Andre – What adaptive sports interest you? Andre – What do you do for fun socially? Andre – How long have you been married or together? Andre – How has your relationship with your spouse or partner changed? Andre – Do you have children? Andre – How do you handle anger? Andre – Do you ever feel guilty? Andre – Are you happy? Andre – What kind of work do you do?